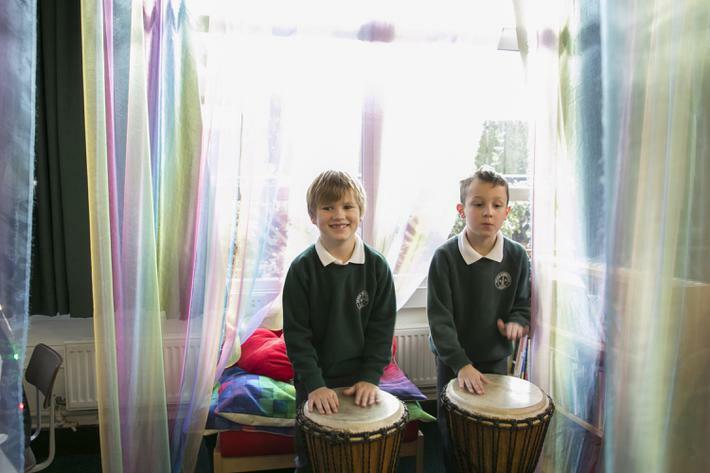 Our music curriculum is supported by the online scheme Charanga. 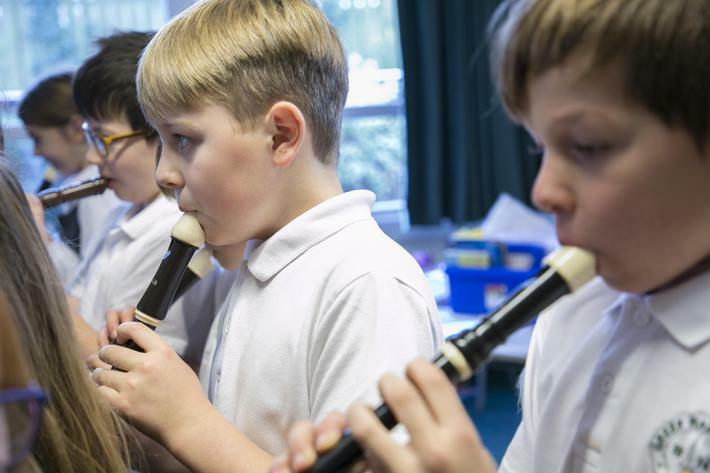 It provides a progressive range of resources which support lessons ensuring a practical, child-led approach to musical learning. 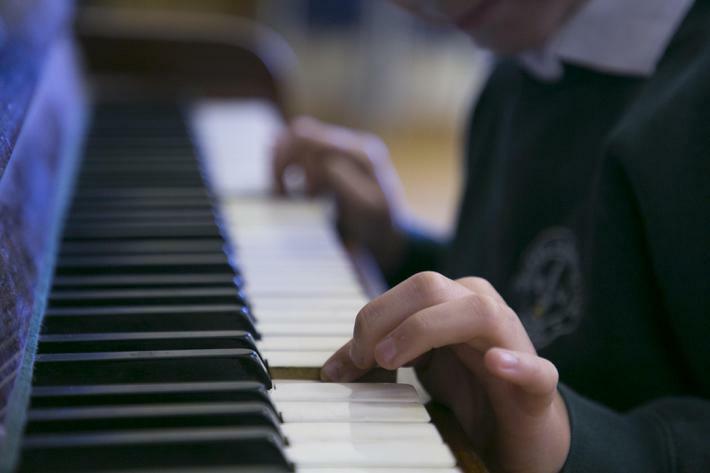 Each theme combines Listening and Appraising, Musical Activities, Singing, Playing instruments, Improvisation, Composition and Performing. The children in Year 5 and 6 have been having weekly brass lessons as part of the Wider Opportunities Scheme. The children, and Mrs Parker, have learned trumpet and trombone with Mr Price. The children gave a concert to the school and to their parents on Friday 14th December. We were so impressed with their playing of Jingle Bells that they played it again in the Christmas Service in Church. Our School Choir meets on a Tuesday morning at 8.15am and it is lovely to start the day with singing. We have children from Year 2 to Year 5 in the choir this year and they are enjoying learning a variety of songs. We are looking forward to performing in March 2019 at The Royal Hall in Harrogate for the Kids Aloud, Monkey Boy Concert with choirs from local schools and a choir from Nepal. 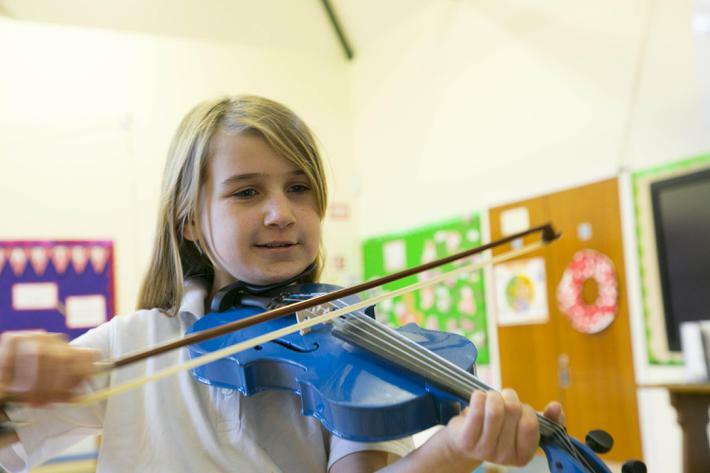 We would love to increase the number of children learning instruments and can now offer violin, keyboard, guitar, woodwind and brass lessons. 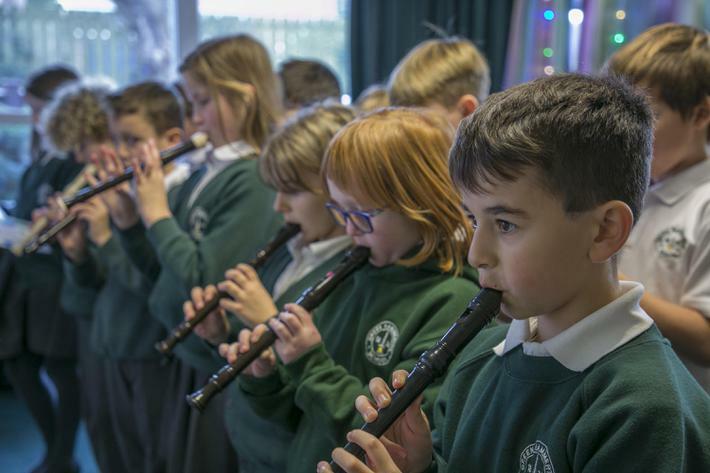 Class 4 were invited to attend a workshop as part of the WOOFYT project which combines Music, Science & Technology in a fun activity where a large group of players make music on a single instrument. They created and controlled air flow and pressure and found out how pumps and valves work. 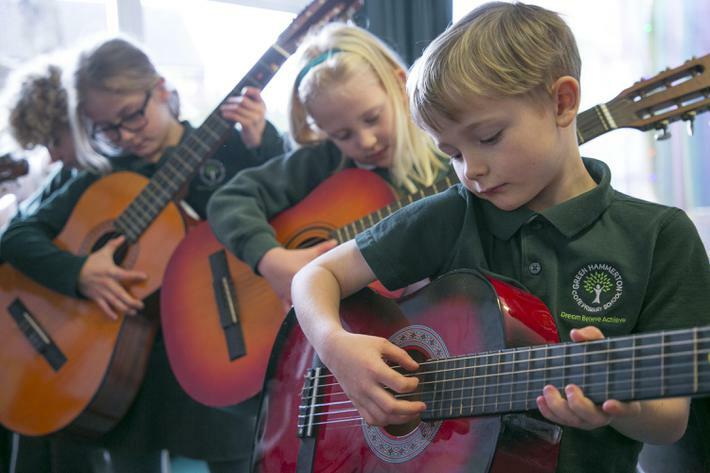 To play a simple tune, everyone had to work together so it required great team work!